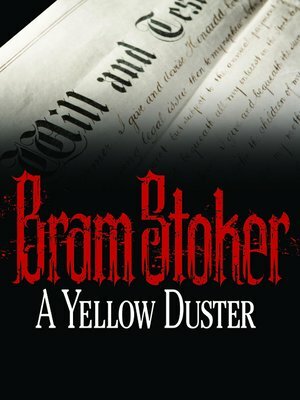 A Yellow Duster follows the story of a couple that has recently come into a large amount of money. They spend a year traveling with an old friend of the husband, who notices that the husband is never without a certain collection of curios. The friend is fascinated by the curios, and decides that he needs to talk to the husband about the collection. When he asks about a specific piece, a yellow duster, the husband recounts the tale of how he discovered his wife's true love for him. Bram Stoker (1847-1912) was an Irish writer of novels and short stories, most famous for his gothic horror novel Dracula. Although he wrote throughout his life while working as a personal assistant and theater manager, he did not achieve much literary fame until after his death.